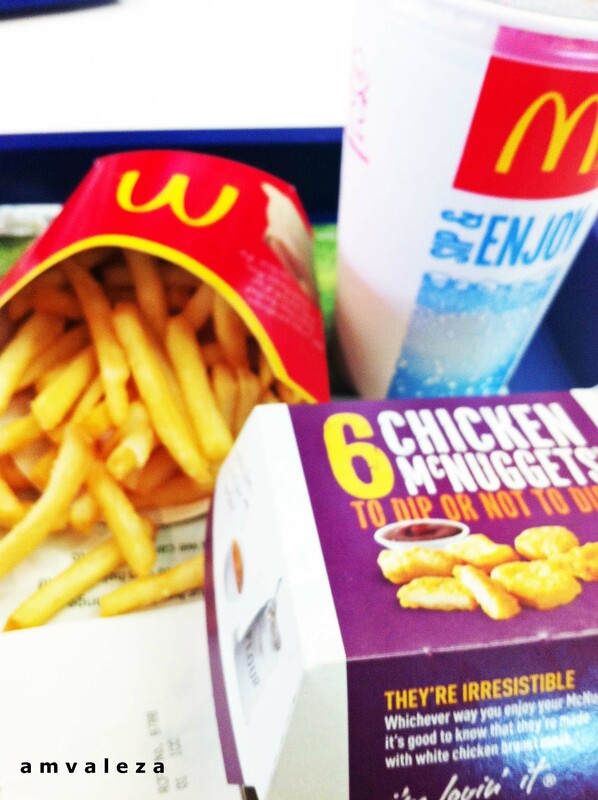 This is one of those Saturdays when after mass I had a date with Ronald. I love spending time with Ronald – it’s where I also find a different kind of solace – probably because regardless which part of the world, there are things with Ronald that’s always the same. Anyway, I chose to sit on a long bench together with other people. This is the deal with eating alone – if I don’t have a book with me, I end up looking around and stalking people. To my right were a grandfather and a grandson who is probably around 8 years old and to my left were a mother and her daughter who I believe was 3 or 4. I’m not sure if the grandfather was a military man but he never said a word the entire meal. The grandson also didn’t say anything. They ate in silence but you can feel that there is an exceptional bond between the two. I watched them eat. Granddad ate his french fries first and so the grandson. He was simply watching the old man and follows what he does. When granddad started eating his burger, the young boy followed. I realized that just like the little boy, in life we have mentors whom we look up to and we try to follow what they do and imitate them, thinking and hoping that someday we will be like them. There are also those who will teach and tell us everything they know about the world but we end up trying to make sense of what they say. I enjoyed eating my nuggets and fries and even if I didn’t have a book to keep me company this time, I had a great time spying on my seatmates!